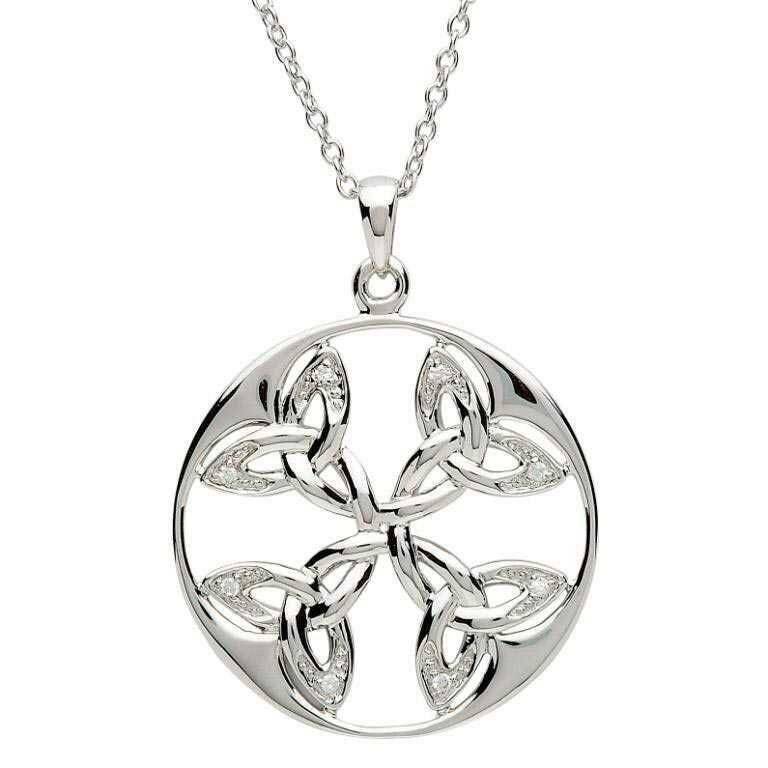 Four crystal encrusted trinity knots comes together to form an elegant and unique Celtic pendant that will show your deep love and affection. Pendant features Swarovski crystals on the front and is fully finished on the back so that it looks beautiful on both sides. Comes on a 18 inch sterling silver chain. Beautiful! The use of knot work design is a practice that began early in human history. 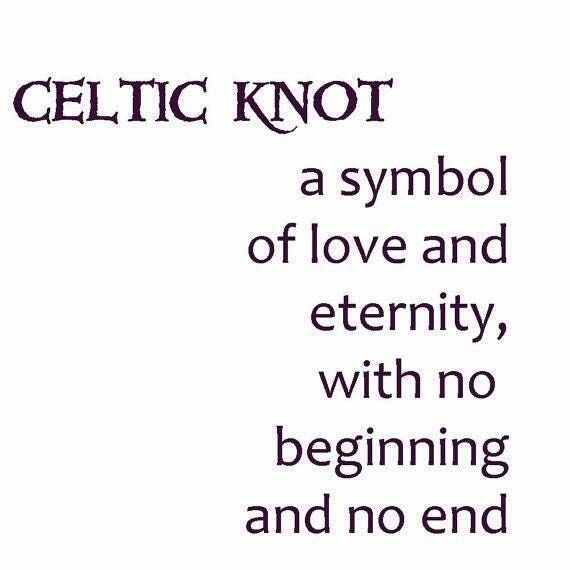 Celtic knot designs developed from braid work, which was an unbroken, woven cord design used in many cultures around the world. The true unbroken and interconnected knot work that is characteristic of Celtic knot designs began around the 7th century. The style that would give rise to Celtic knot design was then spread to Ireland and England.